BETHEL, NY (September 8, 2014) – The last concert of the 21st anniversary Festival Season of the Shandelee Music Festival took place on September 7, 2014 in the Event Gallery At Bethel Woods Center for the Arts. A beautiful sunny Sunday afternoon enhanced the concert with a clear view of the outside trees, shrubs and flowers acting as a set behind the stage, affording a soft, colorful and calming background. 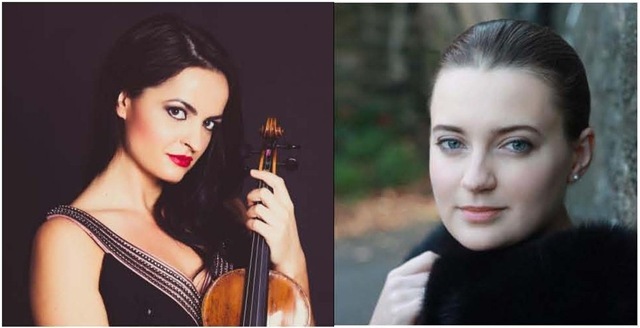 On the stage were violinist Lana Trotovšek and pianist Anna Shelest, two highly skilled musicians presently making their mark in the international music scene. The music began with a straightforward rendering of Beethoven’s “Violin Sonata No, 5 in F Major, Op. 24 “Spring.” This historical work was the first violin/piano sonata to break away from the traditional, classical three-movement form with its four movements and with Beethoven’s innovative romantic-lyricism that changed the style in which composers wrote music. 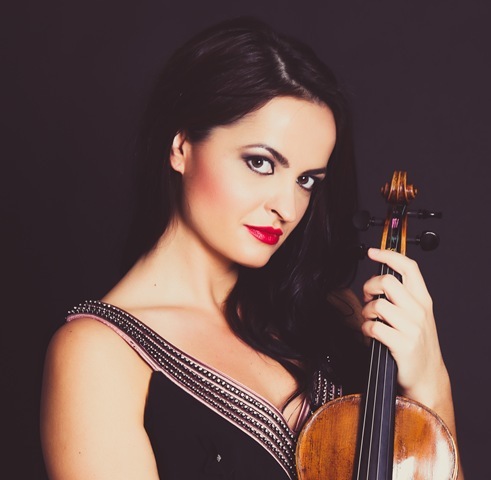 The entertaining sonata, a masterwork, is full of lively themes and some intricate rhythms, and is also a harbinger re the change in titles-to-come: the “Sonata for Violin and Piano,” as the two “roles” are given equal importance. That equality began with the end of the classical era and has continued to this day. The second work was Arvo Pärt ‘s “Fratres” in its “duo” incarnation. The work is scored for a wide variety of instrumentations, and we heard the string quartet version a month ago. At that time, I felt the piece, which is a set of variations with much motion and much stillness, was muddy, static and unmoving, even though it was performed by a superb quartet. This time is was better in many ways. First, I did not recognize any of it, so I assume the version is not just another arrangement. Though I am not sure, my assumption is that the variations on the six-bar theme are totally different than the quartet version. Secondly, the use of a piano makes for a nice percussive sound that is better suited for bringing out the work’s inherent rhythms, and Ms. Shelest did a masterful job of just that. 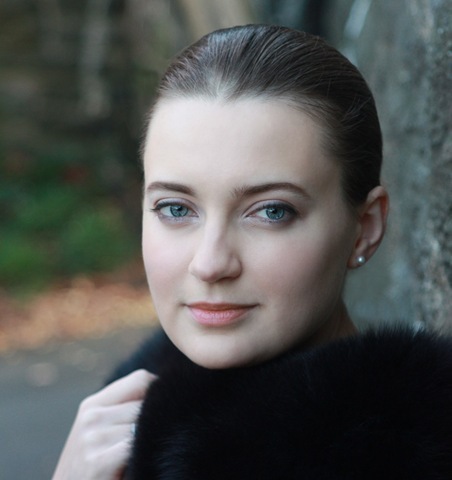 Thirdly, Ms. Trotovšek happily played without the score, and that is always, to me, a much more communicative way of performing. Her “forthrightedness” with Beethoven was replaced by what seemed to be either more of an affinity for this work, or more fun in bringing out its complicated intricacies, as she seemed to be more enlivened and expressive. A wonderful afternoon went from good to better to best – to, possibly, bestest (forgive me Monsieur Franck) with Igor Frolov’s excellent adaptation “Concert Fantasy on Themes from Porgy & Bess” which was full of thrilling Paganini and Sarasate-like double-stops, harmonics, and umpteen-octave up-and-down runs in both the segues between Gershwin’s arias and the within the arias themselves. Needless to say, both ladies had a ball performing it and showing off their technical skills. Technical skills are only technical skills. But, as in the cases of Ms. Trotovšek and Ms. Shelest, with the addition of inspired phrasings and a joy in music-making, a concert is a concert is a concert. We are lucky to get artists of this caliber to come to Sullivan County to perform for us. A big “thank you” to all involved.